On August 16th, I had the privledge of previewing most of the course for the Thunder Dash in Comfort, Texas. Let me first start off by saying that the race directors are absolutely wonderful and they are making this event into one of the most well organized, challenging, spectator friendly 5k obstacle races I have ever seen! You can go here to register, then use promo code LSS20 for $25 off or keep an eye out on their Facebook page for coupon codes. You can sign up for the fitness challenge, obstacle race, or do the ultimate challenge and do both! The fitness challenge will be a mostly mud-free section of the course except for any that the other races drag along with them from doing the obstacle race. The course is a 5k in length and roughly every half mile, you will be tasked with a calisthenics exercise with burpees being the final one you do close to all the spectators. For anyone looking for a great workout model to train for a bigger race, this is a great way to try a system that works wonders for your cardiovascular endurance and will break up the monotony of your regular running routine. Based on what the course directors provide as exercises for the day, this will take a pretty sizeable chunk of energy out of you if you are doing the ultimate challenge, making the obstacle race substantially more difficult. If you have a race the next weekend or you’re still going to be reovering from the last one you did, this is a great option for you to get a great workout and warm up your body for a race or work out the kinks from the last one. The obstacle is one of the best i have seen for a local home grown race. Also a 5k in length, you can expect to get fantastically muddy on this course. The obstacle race will take you in and out of the woods and through a quarry site with mud pits and some different obstacles you havn’t seen before. Unlike your common mom and pop obstacle races, this race is going to challenge even your courage and really push you to finish. The terrain is really fun to run because of all the turns and different textures for your feet to play around in, so this makes an excellent race to test out your shoes to see if they can your next big race. Once race day arrives, rest assured that all of the obstacles you are going to be using have been built to an extrememly high standard. Not many races offer this kind of workmanship on obstacles, so unless you do something terribly wrong, the obstacles will not give way on you. You will see some classic mud run obstacles like the over and under walls, mud pits with barbed wire crawls, water slide, an extremely awesome tire climb out of a quarry, a rope jungle and more mud than you could ever wish for. And this race will also feature some interesting additions to the standard obstacles, such as a rope traverse, a 40 yard stretch of dirt hills that will wind you extra fast, and a wire bridge crossing! You have to check out this obstacle race folks, it’s going to be off the chain. In terms of the after party, it should quite a good time as well. This race has pulled out all the stops to make this one of the best races you go to all year! They will have a DJ playing all day, some of the best food you will have had at an OCR (but be warned, you cannot just buy it at the race, you need to order it in your registration, but it will be worth the wait) and a nice selection of craft beers from the Comfort area. If you would like, you can also bring out a picnic to enjoy. And if you are someone who likes to bring spectators, they will get to see you all over the course! The race will offer a hay bale ride that will take spectators to several parts of the course to cheer on their favorite racers and watch them get very very muddy. And if you’re a racer who likes to have music while you run, they will be playing music from the DJ booth throughout parts of the course as well, so not only can you run to some tunes, you’ll be able to hear any announcements from HQ while you’re running. And if you don’t have enough reasons to go check out this race yet, this event is giving back to the community too! Here is what the staff sent me about their charity aspect of the event. Here is the facebook event page for the team . please add yourself once you sign up so we can all be in contact with each other and avoid cluttering the main group page! I will be there with our team tent all set up for you to enjoy the day in. Bring your lawn chairs and lets shoot the breeze for a while 🙂 From every other event I have attended with y’all, I can promise you will enjoy hanging out under the team tent almost as much as you will enjoy the race. We can be the biggest team at this event, all you have to do is grace us with your presence and help out a race that is trying to give back to the community. 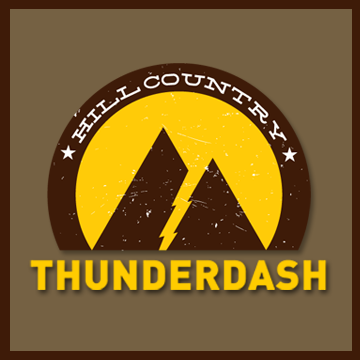 If you have any questions, please email info@thunderdash.com and they can help resolve your problem. Posted in Race Review and tagged fitness challenge, obstacle course race, ocr, race preview, thunder dash.